This Philippine island features the Santorini-styled, Bellaroca Resort and Spa, less than a decade old, offering luxurious getaway packages. EXPLORE THE PHILIPPINES WITH US! 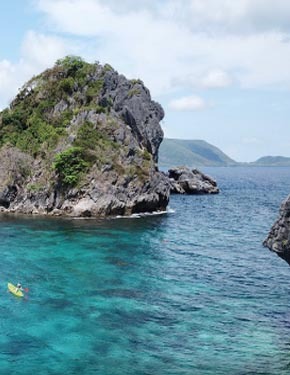 In Southeast Asia, surrounded by the Pacific Ocean, the Philippine Islands are blessed with extensive coastline, are ringed with beaches, and offer about 40,000 square kilometers of coral reefs teeming with a wide variety of marine life. 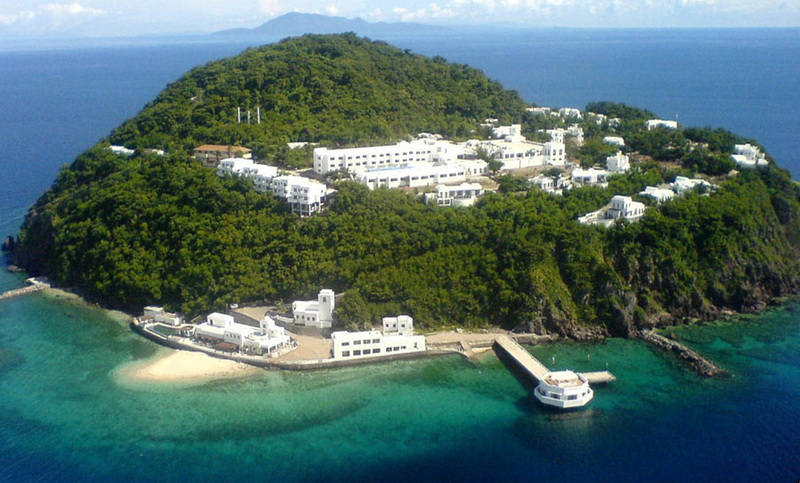 Anilao, a resort village in Mabini, Batangas is considered the summer mecca of diving fanatics. Baguio is situated in the midst of pine-covered hills and steep valleys. Its often comfortably cool, as it is way up high, and often in the mist of clouds, or downpours of rain. The combination makes Baguio a must to escape the heat of the lowlands. 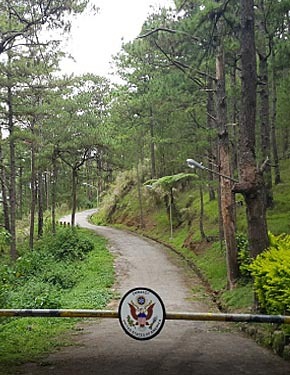 There is a presidential retreat, and a former U.S. (R&R) base, Camp John Hay. The U.S. even built a highway to get up here! Baguio sits at the southern end of the Cordillera. 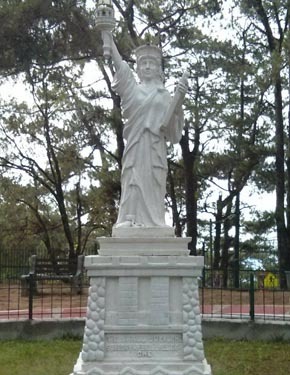 Among its popular attractions are the We Shall Overcome statue after the Statue of Liberty, that can be found on the former U.S. base, along with golf among the high mountain pines. 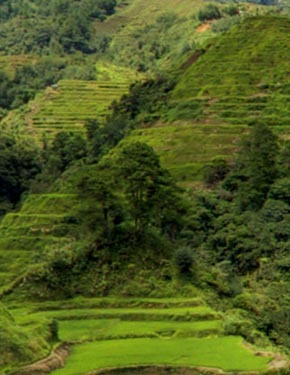 Banaue Rice Terraces, also considered as the eighth wonder of the world. An engineering marvel, this "Stairways to the Sky" was constructed by hand by the Ifugaos. Bohol is famous for its "Chocolate Hills" that look like they could be chocolate drops resting on the landscape. Further exploration will reveal what they really are. 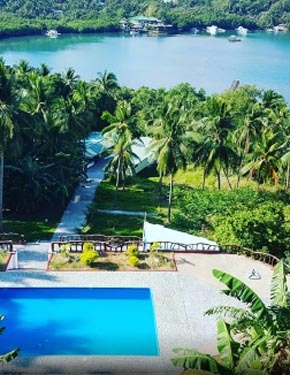 Bohol is actually a destination composed of numerous isles, including our favorite, Panglao Island with its amazing white sand beach and a perfect dive location, as well as the islands of Pamilacan, and Cabilao. Boracay Island: CLOSED!!! That's right. Widely known for decades as one of the finest swimming destinations in the world, Boracay is blessed with unsullied fine talcum powder-sand beaches. Not now. Our text used to read "Its tranquil crystal clear waters are perfect for swimming," but now they are not. They are sullied with the excrement of the resorts of the island. The island was closed by order of Philippine President Duterte. Camiguin Island, known for its lanzones festival, offers white-sand beaches, spring resorts and magnificent caves. Cebu is one of the most developed provinces in the country and the main center of commerce, trade, education and industry in the central and southern parts of the archipelago. It has five-star hotels, casinos, white sand beaches, world-class golf courses, and convention centers. 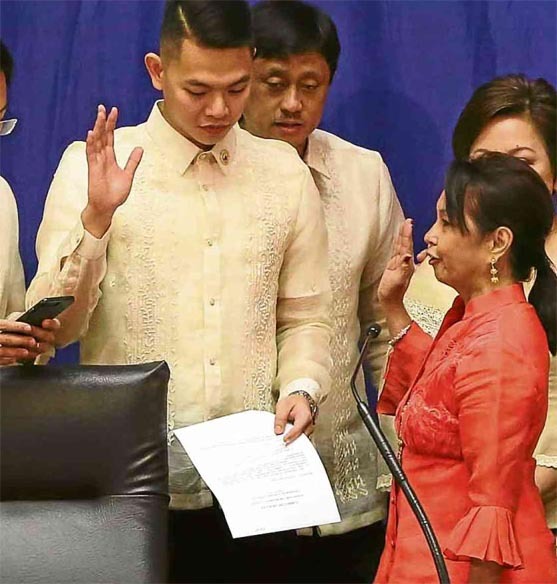 first female speaker of the Philippines House of Representatives (July 24, 2018). President Duterte gave his third State of the Nation Address. 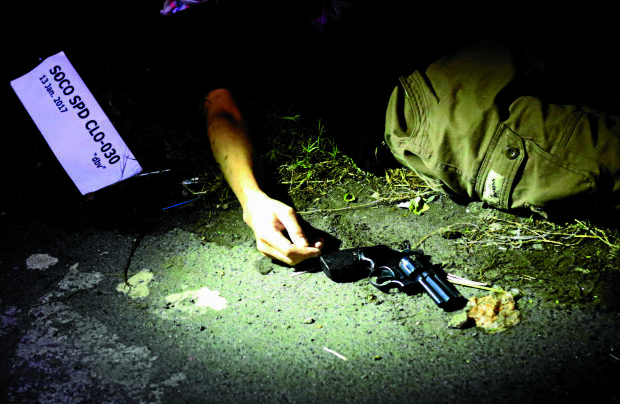 Pledges to continue chilling drug war that has terrorized his population. Tells human rights defenders he won't be dissuaded from his campaign (July 24, 2018). An American tourist travels through Manila during Christmas drug raids, finding solar Isla and song. to a news report about the findings. or click here. Relationships during a time of war propel drama in Sukimoko, set during the 1945 Japanese takeover of the Philippines. This colorful map above shows the Philippines, a nation spread over more than 7000 islands, but an area at the bottom is now out of date. insurgents and negotiations held by three successive Philippine administrations. Below is a clearer look at the physical geography of the islands. We review many of these locations in the left and right columns. We continue here with you, on our visit to the Philippines that we began over in the left column. 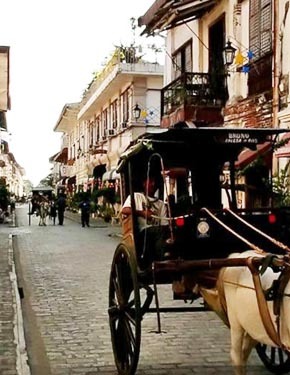 Manila: The city's past is seen in its century-old churches, robust forts, classic plazas, ancestral edifices, stately museums, and historic monuments. And, unfortunately, it also has some of the worst traffic on the globe! At the same time, there's plenty to relish about the Philippine capitol city. Palawan boasts white-sand beaches, scenic rock formations, an underwater river and magnificent caves. It is home to Tubbataha Reef, on the list of World Heritage sites. 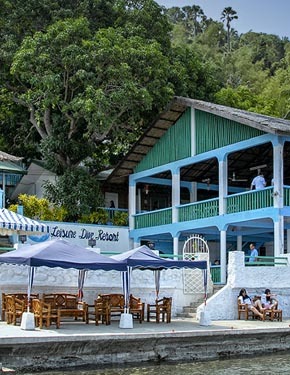 Puerto Galera (which means Galleon Port) is one of the most popular beach resorts in the Philippines. A marine reserve, it is endowed with coves, fine sandy beaches and shallow coral reefs ideal for snorkeling. Also cool, is the history of the "Manila Galleon" after which the area gets its name. Keep an eye on this web space as we share this story. 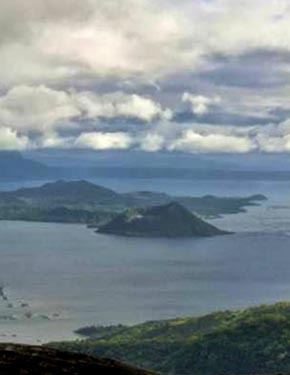 Tagaytay Sitting on the rim of a massive caldera, Tagaytay overlooks Manila Bay on the north, Taal Lake and the Taal Volcano to the south, Laguna Bay on the east and the China Sea on the west. Vigan, in the northwest of Luzon, is a UNESCO World Heritage Site, as it is the most intact example of a Spanish colonial town in the Philippines. Before the arrival of the Spaniards, the Philippine archipelago was known as Maharlika, which may have come from the Old Malay language meaning "noble creation". 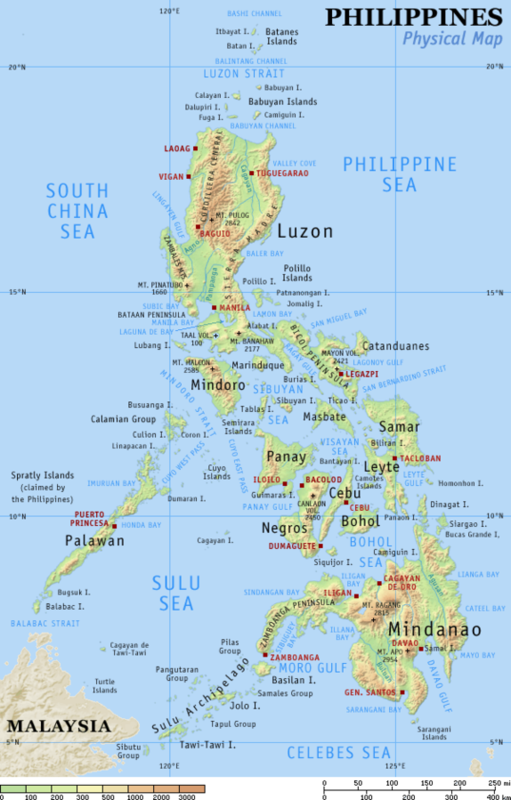 The official name of the islands, however, changed throughout the course of Philippine history. The name Philippines and its Spanish counterpart Filipinas are derived from the name of King Philip II of Spain. Despite the presence of other names, the name Filipinas was eventually adopted as the name of the entire archipelago. In the Philippine Revolution , the Philippines was officially called the Republica Filipina, or the First Philippine Republic. From the time of the Spanish-American War until the Commonwealth, American colonial authorities referred to the Philippines as the "Philippine Islands", a translation of the original Spanish. It was in the Commonwealth period that the name Philippines began to appear. It persists as the official name of the nation.